Have you heard the phrase do the math? That’s what North American employers are looking for; people to do the math in the field of big data. A shortage of skilled workers in the field presents job opportunities in mathematics, one of the STEM fields. Leading up to the Graduate Employment Conference Europe (GEC Europe), College Recruiter is publishing the opinions of experts based on a series of questions related to global talent acquisition. In today’s article, Tel K. Ganesan, CEO and President of Kyyba, comments on the shortage of skilled workers in big data and focuses on the opportunities for mathematicians. 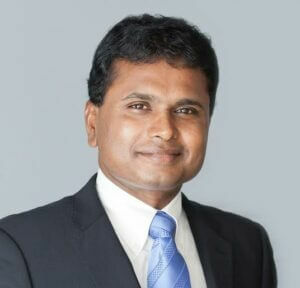 Tel K. Ganesan is CEO and President of Kyyba, a Detroit headquartered global IT, engineering services, and a software product company focusing on education and manufacturing domain. He is also on the Advisory Committee for the National Veteran Business Development Council, Board of Directors for Global Detroit, and member of Board of Advisors of Ann Arbor-SPARK, Global Talent Retention Initiative of Southeast Michigan. He is also the President of Talent, Ideas, and Enterprise (TiE).